Industries shift, change and progress with time – it is the nature of business. One area that has seen this more than most is the banking & finance industry, with the biggest influence being technological innovation. There has been a significant shift in the way consumers interact. More people are turning to digital methods of Banking. It is more accessible to bank online and via smartphones, without the need for human interaction. Banks are now being made to re-evaluate the future of their branches. Banking customers are changing their behaviours. The number of transactions in branches are plummeting due to the greater use of multiple alternate channels. In the most recent report published in February 2016 by the Bank of England Prudential Regulation Authority, there are over 150 banks incorporated in the UK and over 45 building societies (based on PRA Authorisation). With so much competition in the industry, banks are adapting and encouraging different ways in which they can now connect. Institutions are in contest to provide the newest online and mobile features to their consumers, as retail branches are losing their relevance fast. Business Insider UK has been closely tracking evolving trends in the banking industry. Mobile is one of the biggest disruptive threats to legacy businesses, including Merchant Services Providers, big Financial Institutions and Credit & Debit card companies. Businesses are evolving their services and acquiring start-up competitors to stay ahead of the curve. It was reported by the UK cards association that there are currently 69 million cards out in circulation that can perform contactless payments – one of the biggest shifts in the banking industry in recent years – but it’s not the only one. A lot of banks are shifting to paperless banking, which has again been promoted by the rise in smartphones with internet access and tablet devices. Paperless banking is defined as banking that is done online – so all of those apps on mobile devices and access via desktops and laptops have paved way for a more streamlined way to access your money without the need to leave your home. But what does the future hold? Recent trends prove that digital banking is where the heart of this industry is now finding itself. 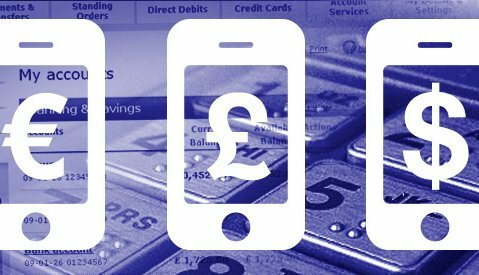 The Digital Banking Club, an online news network focused on digital financial services, reported that 66% of Brits will be using mobile banking by 2020, representing an increase of almost 7.5 million internet banking users. We are now moving into a digital age, IT as an industry is forecast to grow at 1.62% per annum – nearly twice as fast as the UK average by 2020. With the Millennial Disruption Index reporting that Millennial’s believe that innovation will come from outside of the banking industry itself, almost half of them are counting on tech start-ups to overhaul the way banks work. 73% would be more excited about a new offering in Financial Services from Google, Amazon, Apple, PayPal or Square than from their own nationwide bank. Along with this statistic, it’s not surprising that we can expect the future of banking to be much faster paced than what has gone before it – making banking easier and more user friendly every passing year.